Ms. Susan has been with M&M for the past six years. She is one of the programs’ Multi-Site Directors and also the Site Director for South Canton scholars. Ms. Susan is a certified teacher and graduate of Michigan State University. She works as a Math Intervention Specialist at South Canton and enjoys developing relationships with her students. Some of her favorite pastimes are: spending time with her husband; reading; arts and crafts; and sports, especially track and field, tennis and Jiu Jitsu. Her passion is to empower students to maximize their potential and find the CHAMPION that lives on the inside of them. Ms. Kela has been with M&M for five years and is currently the assistant site director. She is very competitive and enjoys being #1 with her students. Ms. Kela loves her students and takes great pleasure in learning about each one and their unique personality they bring to M&M. She enjoys role playing their daily interactions with her. Other than spending time with her handsome 5 year old son, working with the students at M&M is what she loves and enjoys. She is excited to help all her students achieve their goals and have fun while doing it. This is Ms. Sierra’s fourth year with M&M. Her love for the students is evident in the way she interacts with and treats them. She is currently pursuing a career that involves working with children and is excited to use her creative and intuitive abilities to keep them involved, active, engaged and happy to be at M&M. Sierra is an amazing teacher and writer! She uses best practices in all of her well thought out lessons and teaches her students to be independent thinkers and problem solvers. The students and parents love her! Mr. Ricky has been with M&M for four years, both as a volunteer and as an assistant in the classroom. He has been a wonderful example for the students and competes with them all the time. He works very hard and enjoys interacting with and helping the students. Mr. Ricky is a team player who is flexible and helpful and enjoys playing basketball. He is an asset to the team here at South Canton. Ms. Mo is a recent graduate of the University of Michigan - Ann Arbor with a German B.A. She has experience teaching foreign language and math classes to high-school, college-level and adult students. However, she very much appreciates the opportunity to work with school-aged children in a more relaxed environment. Her favorite part about working with M&M is seeing students work together and complete their "jobs" in the classroom. Her long-term plans include teaching English and German as foreign languages in the States and abroad, and in her free time she learns languages, listens to music, and sails with her family. Have you ever worked with 6-8 graders, who know EVERYTHING? Well, meet Ms. Kenyatta, who has worked with this group and M&M for the past four years. However, this school year she wanted to work with the younger students, 3rd and 4th graders. Ms. Kenyatta chose to be with this group to help guide and mold them. She enjoys working with them and knows that they are our future. She is committed to doing what it takes to be a positive example and role model for them to follow. 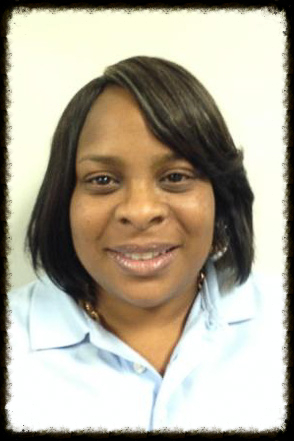 Ms. Kenyatta is pursuing her Early Elementary degree and will work with any age group. She is passionate about educating and empowering our students to succeed and is the proud mother of four children. Ms.Karina is originally from Mexico and has been living in Michigan for three years. She has degrees in Psychology and Master’s in Marriage and Family Therapy. She has worked in a child rehabilitation center as a family therapist and in a middle school as a teacher and academic tutor. She enjoys helping all people (children and adults) and working with them. She currently works with the middle school kids and enjoys to guide them in different areas of their life as she learn from them too at the same time. She has been a pleasure to work with and we are happy to have her on our team here at South Canton. Ms. Kim has been with M&M for seven years and has enjoyed working with all the students in her care. She has a degree in Early Childhood Education from Ashworth College and currently works at South Canton Scholars as a special education paraprofessional. She has a passion for student development and is excited to use her skills and experience to make a difference in their lives. This is Ms. Pamela’s second year with M&M. She returns with her passion to help students succeed. She currently works with the second and third graders at M&M and is also a South Canton Scholars employee. Ms. Pam brings humor and a positive attitude to the work environment. She is very creative and works on developing strong relationships with her students and their parents. In her spare time, she enjoys spending time with her husband and two beautiful children. Ms. B. as the students call her, is the newest addition to our team here at South Canton. She lives in the Van Buren Township area and is currently attending Wayne Community College to complete her degree. She likes to work with children and has worked in Romulus Community Schools for 17 years. Prior to that, she worked for the city of Romulus before retiring from both. Ms. B. currently works with the 2nd & 3rd graders here at M&M and is happy to have the opportunity to work with children again. Jena started as an Enrichment Specialist with M&M in 2013 at South Pointe Scholars. A year later, Jena helped M&M Extra Care grow, as the new Site Leader at Grand River Academy. In 2015 she became our Customer Care Specialist. Jena’s bubbly personality can be felt through the phone or email and she is loved by all! Jena recently had a life change and moved to Atlanta, but thanks to the wonderful world of technology, she has been able to remain, to help families navigate the registration, billing, and scheduling practices of M&M. Tara has been with M & M since 2009 and also began as an Enrichment Specialist. But with Tara’s extensive experience and expertise in School-Age programming, it was clear her role was to include so much more. Tara is instrumental in providing high quality care at M&M. Tara is a valuable coach and leader to all Specialists, Site Leaders and even the Administrative Team. Tara will often step into a classroom to cover a shift, to help train a new specialist, or even just because she LOVES working with the kids! Tara’s greatest love—planning and working summer camp! As the owner of M&M Daycare, Inc., Madonna has been providing care for children since 1995. As a parent of two children who attended NHA Schools, Madonna understands the important role that M&M Plays in providing a quality school-age program. She believes that each child shall be treated as an individual and will have caring professionals provide a safe, nurturing environment. Additionally, independence, exploration, and a feeling of self-worth will be encouraged and opportunities for social-emotional growth, recreational activities and educational learning will be provided. What kind of background checks are performed? As a Licensed Childcare Program, all staff must complete comprehensive background checks, which include fingerprinting, FBI, CPS, DHS and State Police record searches. The State of Michigan administers and provides the systems for these checks. What kind of training do the Enrichment Specialists and Site Leaders complete? What do we expect of our Enrichment Specialists? It is imperative that our specialists play an active role in lesson planning to provide a diverse and enriching experience in before and after-school care. Time is provided for the Enrichment Specialists to prepare for their day with supplies and planning for at least 30 minutes prior to and 30 minutes after the students are present. We expect our Specialists to develop relationships with their students and their families, to promote a safe and nurturing environment and to foster a supportive partnership with the parents or guardians in the role of caring for each student. What do we expect from our Site Leaders? Our Site Leaders are there to provide support to our staff, the students in our program and to their parents. On a daily basis, they monitor Enrichment Specialist classrooms to ensure that our specialists are meeting or exceeding our quality expectations. The Site Leaders work closely with the enrichment specialists to establish that they have quality lesson plans which include a variety of educational and social activities. The Site Leader also maintains the flow of communication between M & M Extra Care and the school sites, speaking to teachers and other school staff about how we can work together to best support the students in our care. Site Leaders also work with the students to help them remember the moral focus and help encourage positive behavior choices. Additionally, Site Leaders are present to provide support and resources for our M & M Parents, working with them to guarantee that their student is given the opportunities and activities to keep them engaged and involved during the before and after-school care program.